The University Ethics and Compliance Office is a unit within the University System Offices. 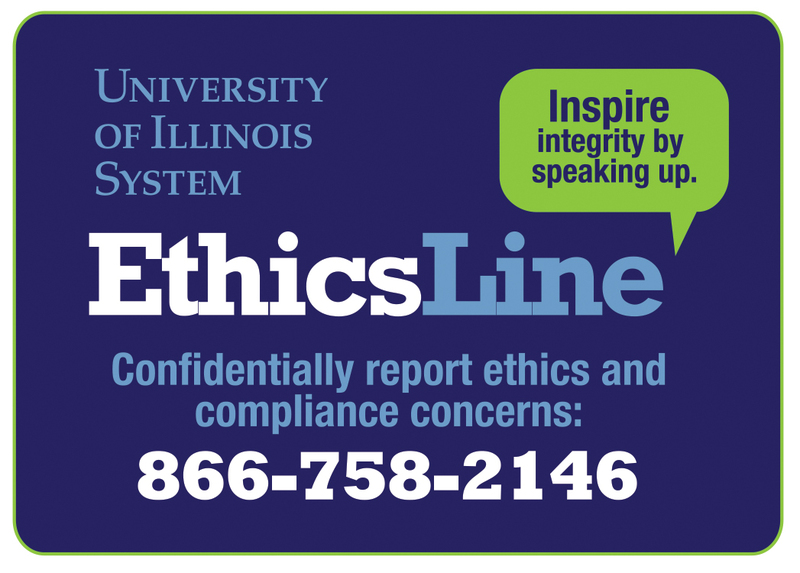 The Ethics and Compliance Office is physically located on the Springfield Campus, with the Associate Director of University Compliance residing on the Urbana-Champaign Campus. All staff travel as needed to the other University of Illinois campus locations. Employees can contact the University Ethics and Compliance Office through various channels, including email, US Postal mail, fax, and telephone.